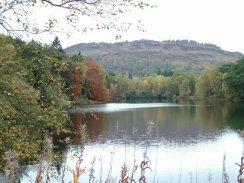 Set amid the historic sites of Duncan’s Camp and Birnam Wood, the beauty of Rohallion and its loch and wildlife are in danger of destruction thanks to a proposal to build 49 holiday chalets. 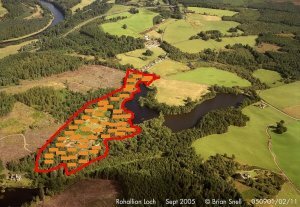 A planning application has been lodged with Perth and Kinross Council by English-based developers, Ventura Lodges, for the construction of this enormous holiday park in this fragile environment, on 22 acres of land owned by the Murthly and Strathbraan Estates in the Dunkeld National Scenic Area. With its washing area, car parking and sewerage facilities this beauty spot will be transformed into an ugly scar on the landscape. We can stop it if those who care about the area and Scotland’s invaluable heritage unite against the plans.